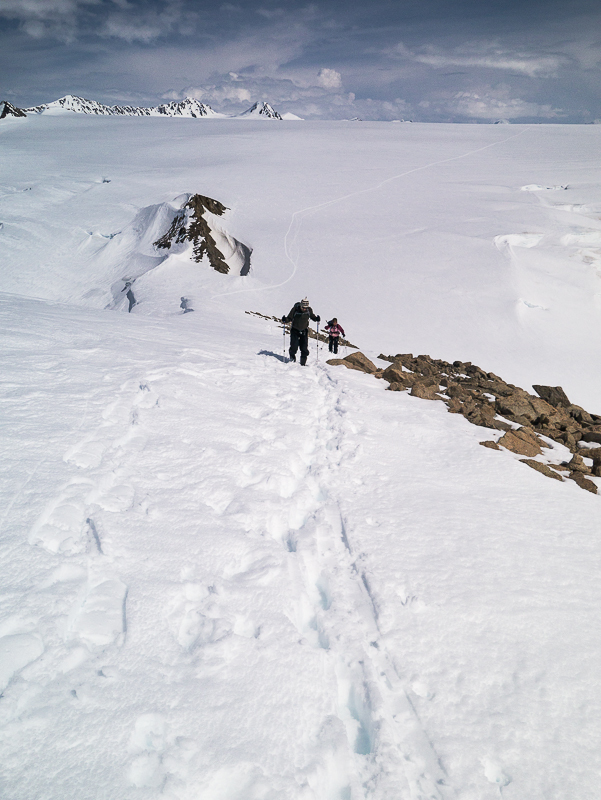 Pikatak Nunatak is a great half-day trip from a camp on the glacier near Mount Queen Mary. There is no technical climbing, but there are some crevasses near the base of the nunatak. 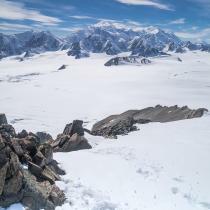 The view of Mount Logan from the top of the nuntak is spectacular. 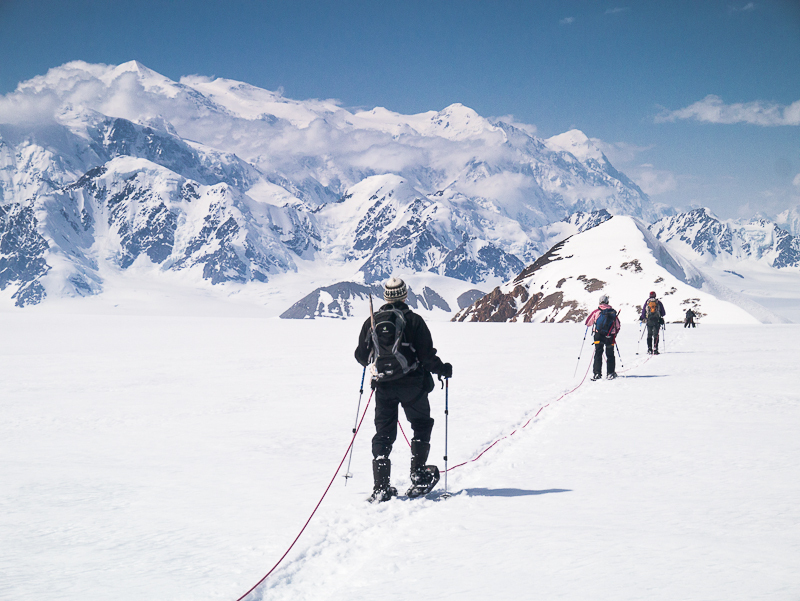 This route starts from the Icefield Discovery glacier camp on the glacier near Mount Queen Mary, deep in the St. Elias icefields in Kluane National Park. 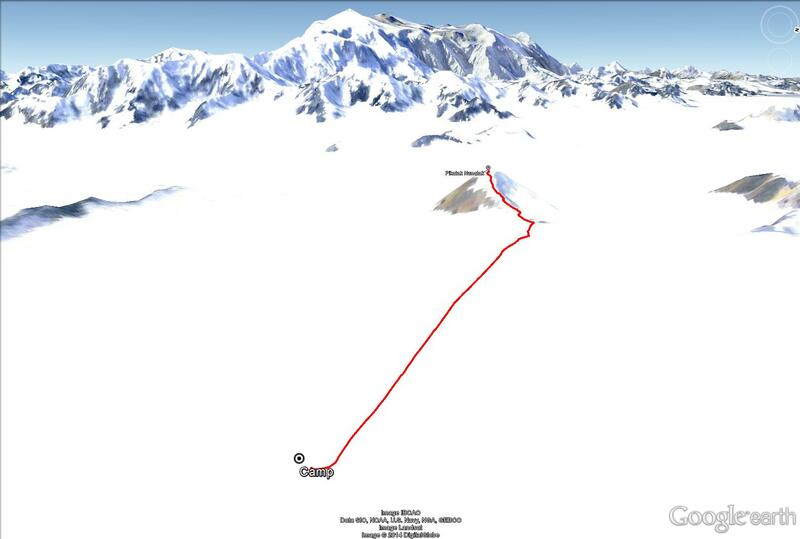 Although you could hike and ski to the camp from the Alaska Highway, the best way is to fly with Icefield Discovery from the south end of Kluane Lake near Silver City. 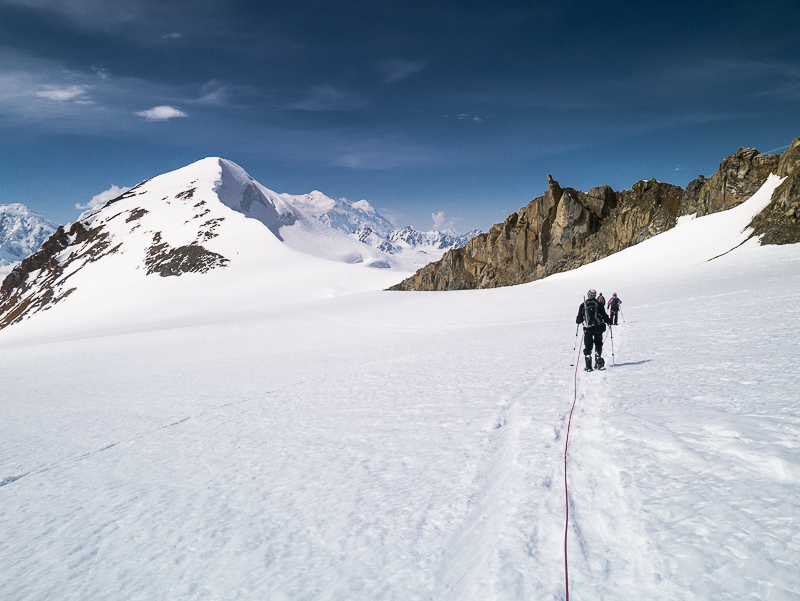 There are some larger crevasses near the base of Pikatak, and although they can mostly be avoided, it is best practice to rope up for this route. 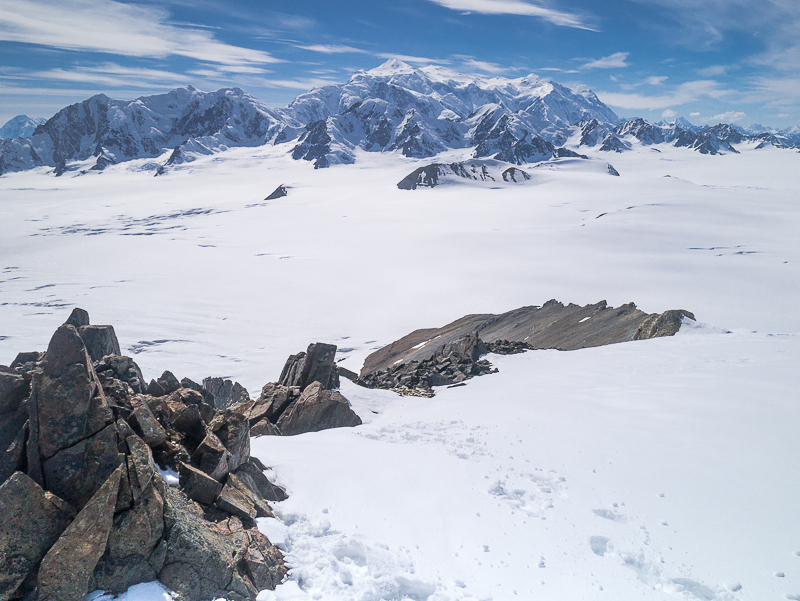 From the glacier camp, head directly west, in the direction of Mount Logan. You can see the top half of Pikatak Nunatak from camp. 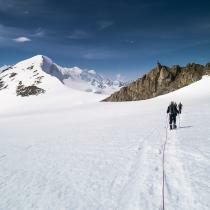 After about half an hour or less, you will start descending slightly and will see a small rock pinnacle on top of a ridge, slightly before and to the right of Pikatak Nunatak. Head in the direction of this ridge, and aim to stay near it. 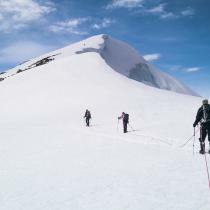 Doing so allows you to stay well away from the larger crevasses to your left (south). 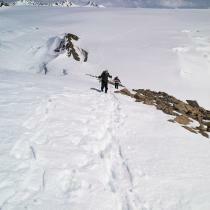 At the base of the nunatak you can take off your skis or snowshoes if you wish and hike up to the top. It isn't very steep, so hiking poles are more than sufficient and a mountaineering axe is not necessary. 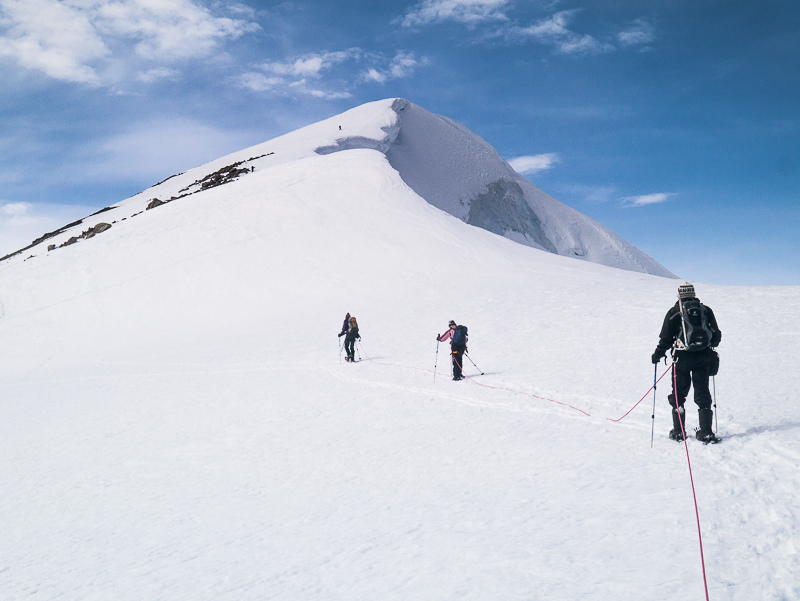 The nunatak is heavily corniced on the right (north) side, so make sure you stay far enough to the left when hiking up so that you aren't standing on the cornice. 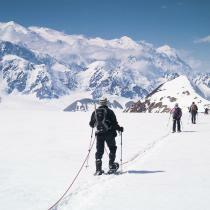 From the top, enjoy the close-up view of Mount Logan, Canada's tallest mountain. You'll also get a great view of the glaciers below and their huge crevasse fields. Return by the same route. Have you been to Pikatak Nunatak lately?